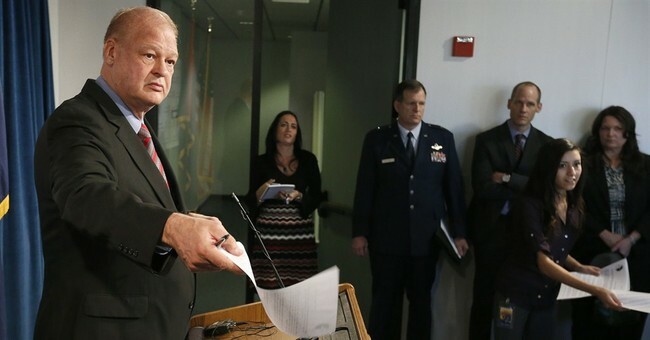 The scandals are beginning to snowball around Arizona’s Attorney General Tom Horne, who is running for reelection this year. The latest revelation comes from a high-level staffer within the office, Sarah Beattie, who resigned last month because she believed Horne was running his campaign out of the government office. Elections attorney Tom Ryan was so appalled that he is representing her pro bono, filing complaints against Horne. Ryan told the Arizona Republic last week, "Mr. Horne has effectively turned the executive office of the Attorney General's Office into his personal campaign headquarters, and we are largely paying for his staff to run his re-election campaign. He's been very clever about it. But when you see the affidavit from Sarah Beattie (the ex-employee), it will become abundantly clear that the taxpayers are funding his campaign. If I'm right, he not only should be prosecuted for that but he needs to be removed from office immediately." Beattie, whose desk was 20 feet from Horne's office at one point, told the Phoenix New Times, "Every day, all day was campaign [work]." She watched Horne make phone calls from his state office. She said, “The AG's executive office is the campaign headquarters [for Horne].” Beattie reveals specifics, such as a campaign flyer created during work hours and that Horne ordered a campaign related email deleted. Beattie is now afraid she is being targeted by the Horne administration for exposing this. This latest scandal came immediately after a lengthy investigation into whether Horne illegally coordinated with a close friend who was running an independent expenditure committee benefiting his campaign in 2010. Similar to Beattie, a top Horne staffer, Don Dybus, left the office over it and filed a complaint against Horne. Two prosecutors, Maricopa County Attorney Bill Montgomery and Yavapai County Attorney Sheila Polk, believed there was enough evidence to bring charges. So far, Horne has beaten those charges, coming up with excuses to explain away coincidentally timed phone calls with the friend. In 2012, Horne was spotted leaving an alleged mistress’s apartment over lunch, hitting a parked car and driving away without leaving a note. He caused $1,000 worth of damage to the car. He refused to cooperate with police, and pled no contest to a Class 3 misdemeanor for leaving the scene of a collision with an unattended vehicle. Horne has been banned for life from trading by the Securities and Exchange Commission. The SEC report stated that Horne "among other things, violated the record-keeping, anti-fraud, and broker-dealer net capital provisions of the federal securities laws and filed false financial reports with the commission." Horne signed a stipulation admitting that he and his firm "willfully aided and abetted" in violations of securities laws. In 2007, Horne was arrested for criminal speeding. In the next year and a half, while he was Superintendent of Public Instruction, he was cited six times for speeding, including once in a school zone. The amount of what appears to be illegal and criminal activity that Horne has gotten away with is unbelievable, but can perhaps be explained by the fact Arizona is generally a Republican state, dominated by establishment Republicans like John McCain who protect their own. Horne is facing a conservative challenger in the primary, Mark Brnovich, who has an impeccable reputation as a former prosecutor, director at the Goldwater Institute and many years of service with the National Guard. Brilliant and a hard worker, Brnovich has relentlessly hit the campaign trail, winning over most of the conservative base. Unlike Horne, Brnovich has been conservative his entire life and is already demonstrating his willingness to take on the left. He began writing conservative articles while in law school at Arizona State University. Horne has been AWOL on most areas of importance to conservatives, except issues related to illegal immigration, which he only began championing in recent years. In contrast, Brnovich has come out supporting lawsuits against Obamacare and upholding the right to public prayer in Greece v. Galloway. As attorney general, Brnovich would actively seek to reclaim land the federal Bureau of Land Management has taken from Arizona. Horne has said nothing in these areas. Brnovich has been endorsed by Arizona Right to Life and conservative Maricopa County Attorney Bill Montgomery. Horne switched parties several years ago from Democrat to Republican, in order to win a race for state legislature. His record at the legislature was that of a liberal Republican, voting frequently with the Democrats. In 2010 while Superintendent of Public Instruction, he proudly brought Common Core to Arizona. Few believe the scandal-plagued Horne will be able to beat the Democrat in the general election, Felecia Rotellini, who is being groomed to be the next Janet Napolitano. GOP leaders have taken internal polling revealing Horne would lose to her. Democrats and Obama may brazenly break the law, but conservatives believe in the rule of law. Horne should not be given a free pass on breaking the law simply because he has an R next to his name. Furthermore, if Horne makes it through to the primary and inevitably loses to Rotellini, the left will falsely claim it’s because Arizona is turning purple, not because Horne was a bad candidate. If there has ever been a clearer case for unseating a Republican incumbent in the primary, this is it.